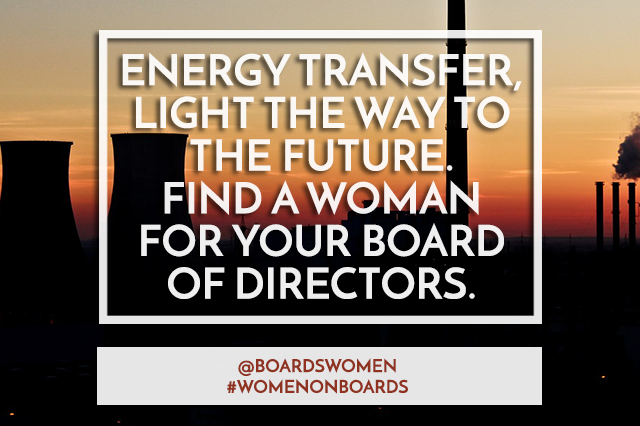 Women Serve on Boards’ ongoing social media campaign targets the remaining Fortune 500 companies that have zero women on its Board of Directors. 5 of those companies have a majority of business in the petroleum, oil, and natural gas industry – Energy Transfer Partners, Holly Frontier, World Fuel Services, NGL Energy Partners, Plains GP Holdings. Your mission and values claim that your culture creates a fulfilling environment which enables employees to reach their potential and that you believe a constructive attitude toward change is essential. 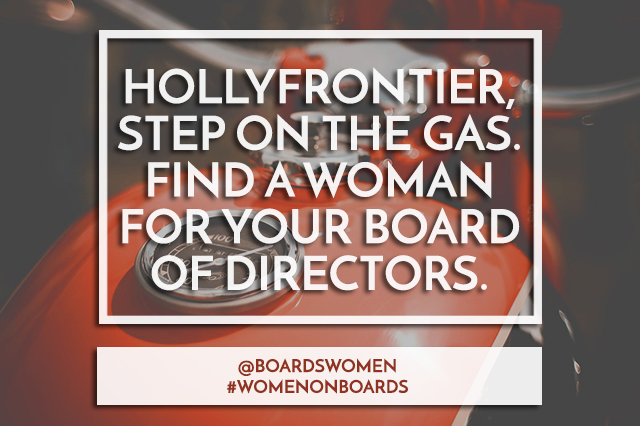 Do you find that a women serving on your board is essential? Have all your women employees reached their potential? 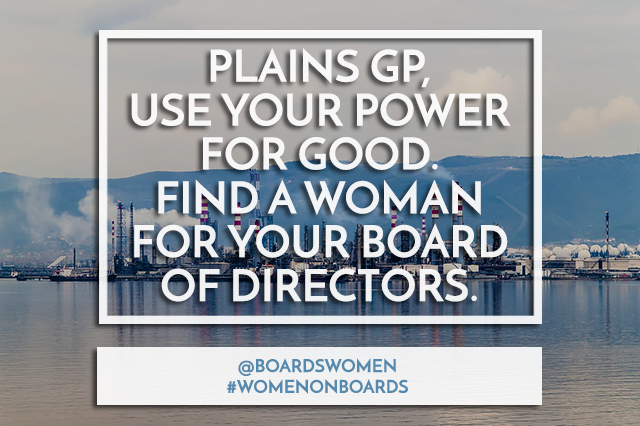 Women Serve on Boards thinks you can do more to improve. Holly Frontier’s Board has also developed a number of specific expectations of directors. Among them is Contact with other Constituencies. This responsibility is defined as being important that the Corporation speak to employees and outside constituencies with a single voice and that designated members of management serve as spokespersons for the Corporation. Surely, Holly Frontier employees women, though it must be difficult to speak to the female employees with a single voice or have all board members as males be the spokespeople for the female employees. You believe in a culture of inclusion and recognize that people are your most valued resource. You say that you are committed to growing and developing your employees to allow for a workforce that delivers results and exemplifies your values. Yet, you have no mention of interest in diversity in your corporate governance guidelines. You are comprised of 4 publicly-traded partnerships, all with at least 7 Directors. Many of the board members overlap. Out of 28 seats, not one is woman. All four companies are run by the same 20 men – that means there are potentially 8 seats across the companies where a man could be replaced by a woman. 8 men are taking up more than 1 seat at the table! Your five core competencies for employees are results driver, value creator, change agent, collaborator, people enabler. You seek qualities among employees, such as challenger of status quo, values diverse ideas, understands greater returns may require greater risks. What if you had the same standards for board members? Adding a woman would definitely challenge the status quo – entirely disrupt it even. 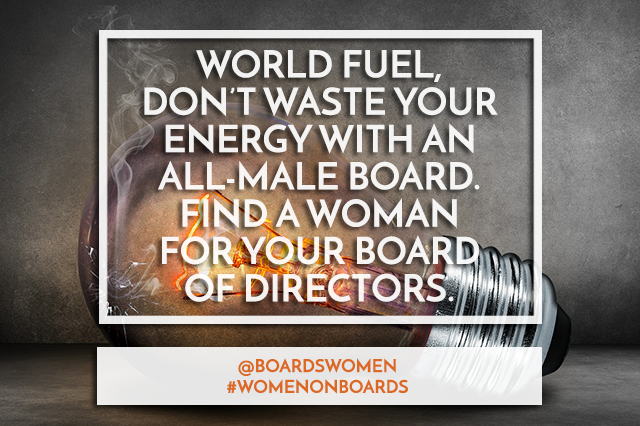 Adding a woman would show that the current board members value diverse ideas. Adding a woman could be considered a greater risk to the current board in which case the company would reap greater returns. 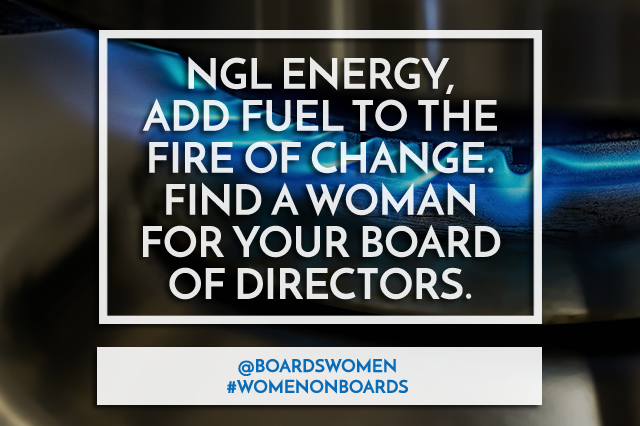 You have 1 woman in Senior Management and 0 on the Board of Directors, let’s fuel diverse leadership. What are these companies waiting on? Why don’t they have a women to the Board yet?